The Short Version: Bulbous-headed, midget aliens whose dismembered limbs can crawl and kill assail a menagerie of characters over the course of a single night in this uncommonly bloody B/W cult favorite of SciFi spoofery. 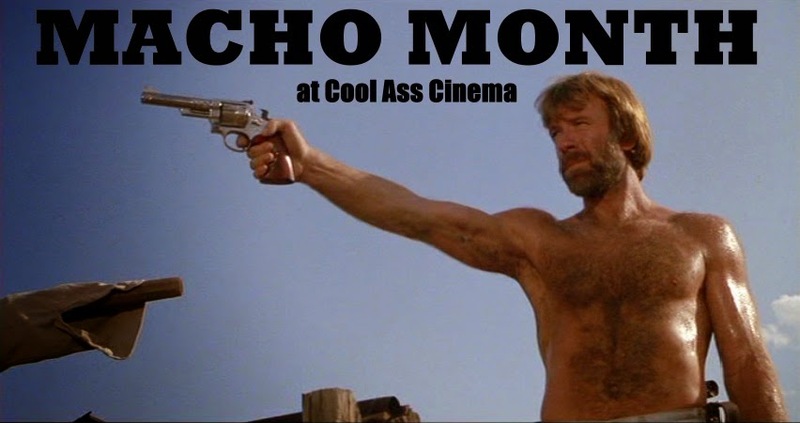 Originally intended as a serious space men movie, the change to comedy was a stroke of genius befitting its low budget. AIP's mini-masterpiece is the signature 'teens vs. monsters' motif, and the epitome of 'little green men' movies. Aliens land on Earth and immediately attract the attention of local lovelorn teenagers, a traveling salesman, a crotchety old farmer, the military, and a free-roaming bull. A kissing couple on their way home from Lover's Point run over one of the interplanetary interlopers setting a string of incidents in motion that leaves the teens suspected of killing a man. 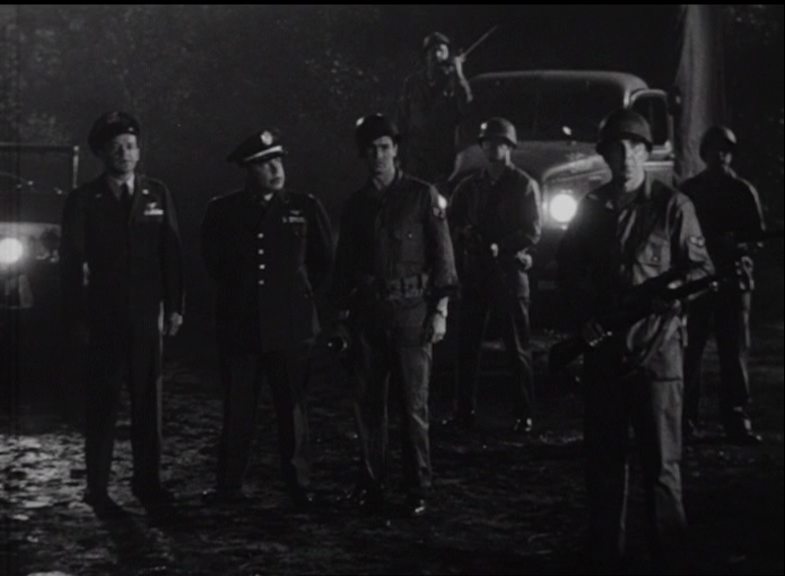 Despite proclamations of "little green men" falling on deaf ears, it's up to the teenagers to stop the alien invaders. Edward L. Cahn's whimsical story (and all true!) of alien invasionary tactics is the 50s B science fiction version of a fairy tale. The opening credits -- viewed through the turning pages of a storybook -- clue you in that it's not going to be a serious affair at all; although it originally began as typically dour genre fare. 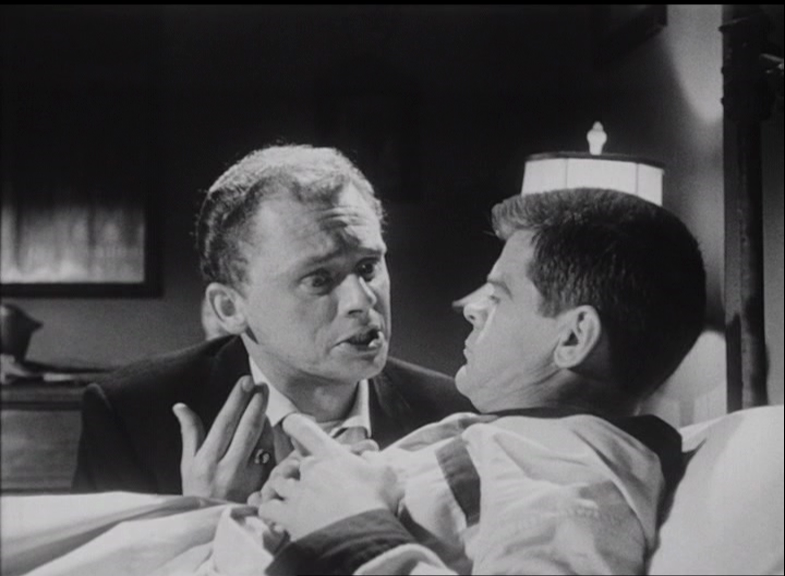 The screenplay (based on the story 'The Cosmic Frame' by Paul Fairman) is judiciously dotted with some great dialog and, considering the jokey tone of the film, some surprisingly bloody scenes retaining a bit of that gloomy atmosphere of most 50s SciFi films. 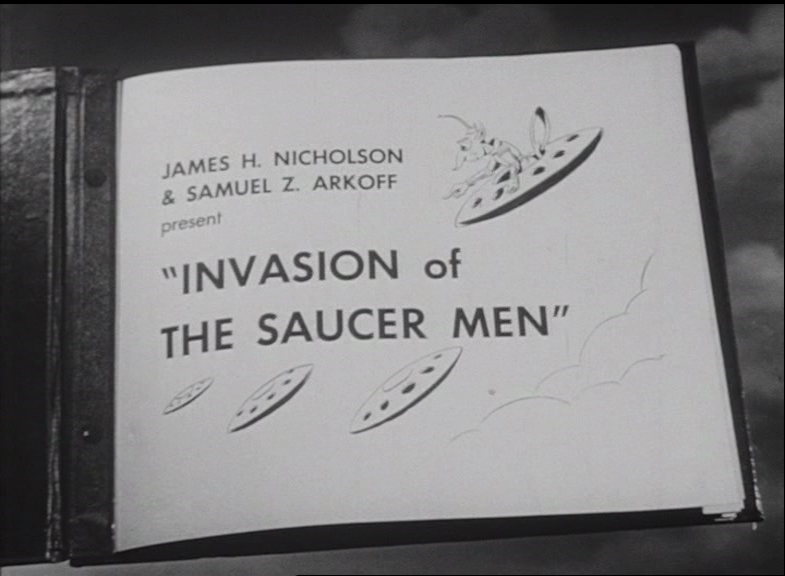 Reveling in genre spoofery, INVASION OF THE SAUCER MEN pokes fun of the "little green men" paranoia popularized in the 1950s over alleged UFO sightings. Cahn's film uses government coverups and unusually devious aliens to act as a source of amusement in telling his story -- a story that unfolds from the point of view of a character writing a book on his alien ordeal (who is actually reading the book caps things with a wonderfully cartoonish coda). 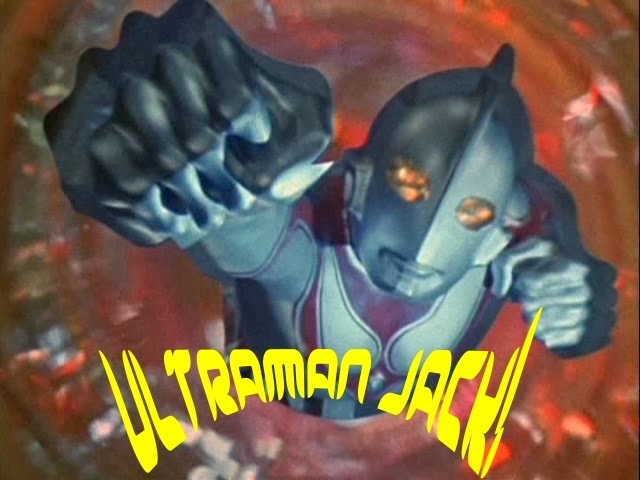 Instead of the typical Earth assault, these space men take a more covert route, going to great lengths to frame two teenagers that run over one of the little monsters. If only they'd been driving with their lights on! Incidentally, bright lights are the only defense against these big-brained, little-bodied visitors. 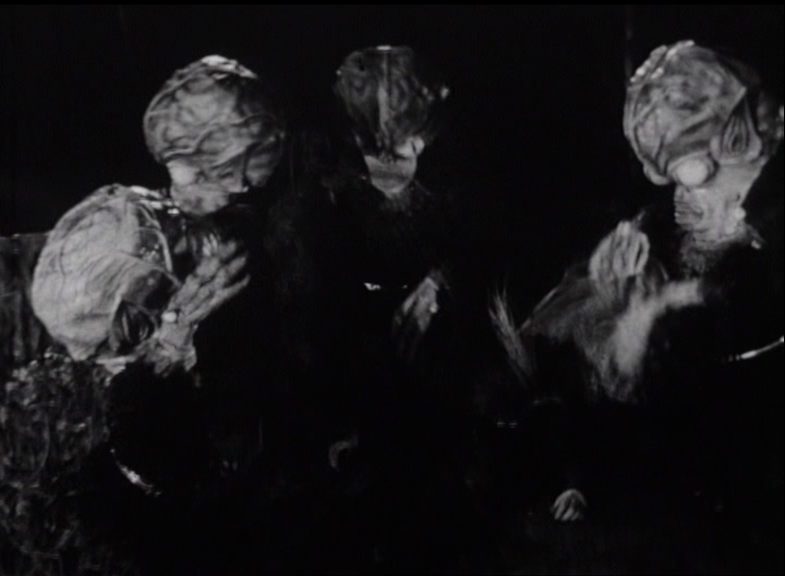 Played by midget actors, these aliens are a memorable sight with their huge heads and hands (complete with an eyeball on each!). They attack with needles that protrude from their clawed hands, injecting pure alcohol into their victims. 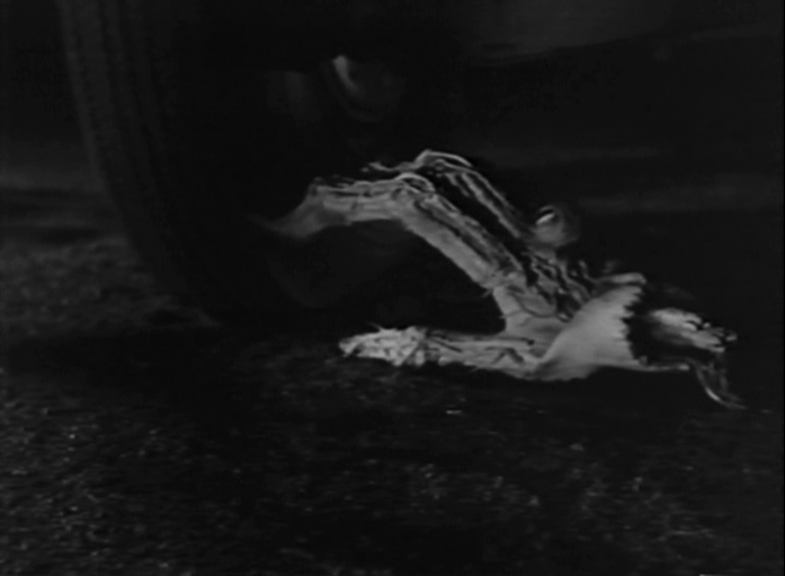 Despite heavy doses of comedy, some scenes are strikingly gruesome in showing the aliens repeatedly stabbing some of their victims with their needled claws; the same applies to the alien that's run over, prompting its still-living hand to rip itself from the arm and crawl away to attack again. 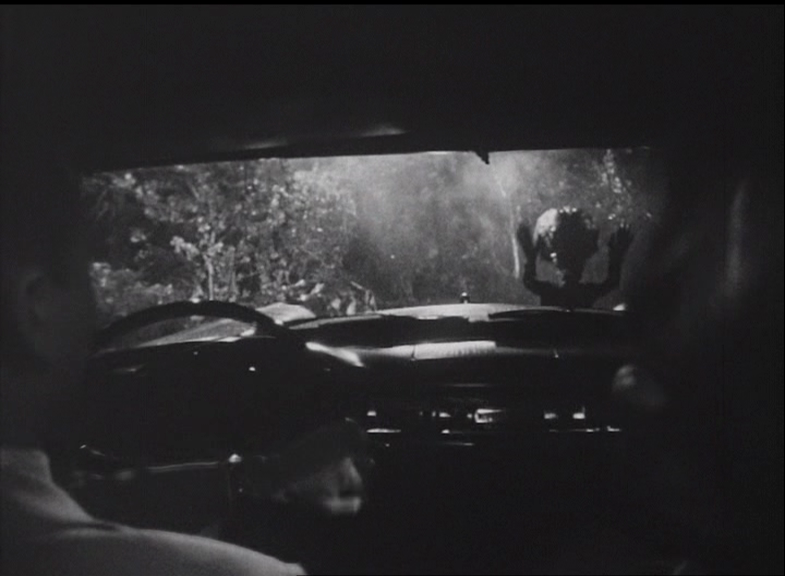 INVASION OF THE SAUCER MEN is the only SciFi movie that pits an alien against a bull with an investigative disposition. 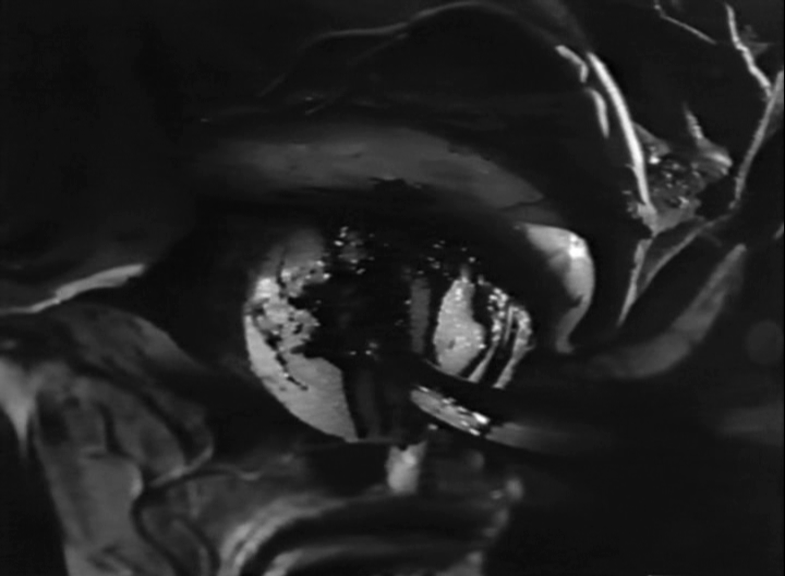 This sequence is among the bloody bits as the wild bull gores the alien in the eyeball. Of special interest to fans of the BATMAN television program, the Riddler himself, Frank Gorshin plays one of the supporting characters here, and the first person to encounter the otherworldly visitors. INVASION OF THE SAUCER MEN (1957) was remade in uneventful fashion by Larry Buchanan with THE EYE CREATURES (1965), a Made For TV film. Paul Blaisdell, the sinister mind behind some of 'B' cinemas best creature creations was responsible for these green men. The Rhode Island native, like a great many others who dabbled in genre films at this time, showed a keen interest in model building at a young age. 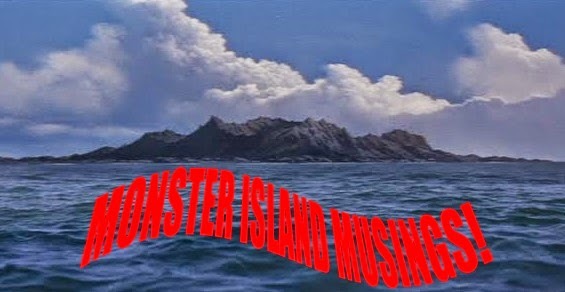 After seeing some of his artwork in science fiction periodicals, Forry Ackerman, the creator of Famous Monsters of Filmland magazine, became his agent. This led to Blaisdell working for AIP designing various aliens and monsters. 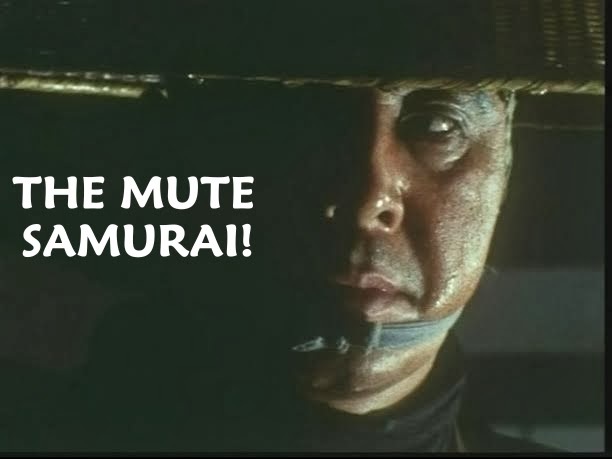 A great many fabulous 50s favorite is scattered amongst his resume including the almighty Tabonga of FROM HELL IT CAME (1957) and the alien cucumber of IT CONQUERED THE WORLD (1956). 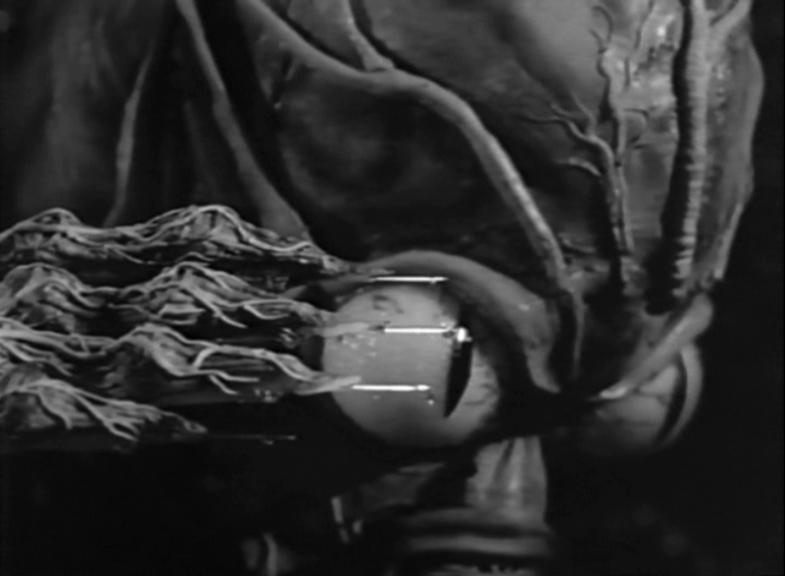 One of his best, most celebrated monster designs is the stowaway martian seen in IT! 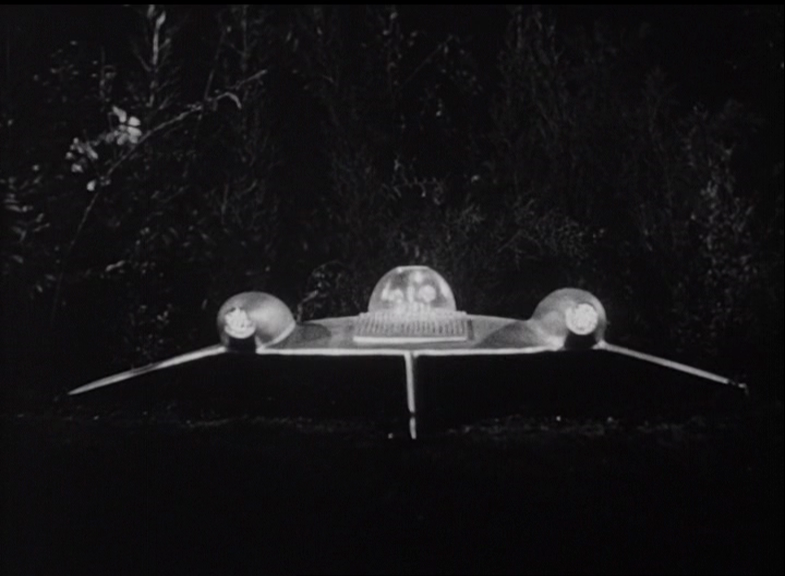 THE TERROR FROM BEYOND SPACE (1958), another film directed by Edward L. Cahn. Considered a cult favorite, SAUCER MEN has been conspicuous by its absence on the digital format in the United States. The reason for that seems to be Susan Nicholson Hofheinz, the rights owner to this, and other AIP titles. In 2012, Susan Nicholson (daughter of producer James H. Nicholson) filed a multitude of lawsuits against various companies over use of copyrighted material she lays claim to. One of these suits was against A.V.E.L.A. 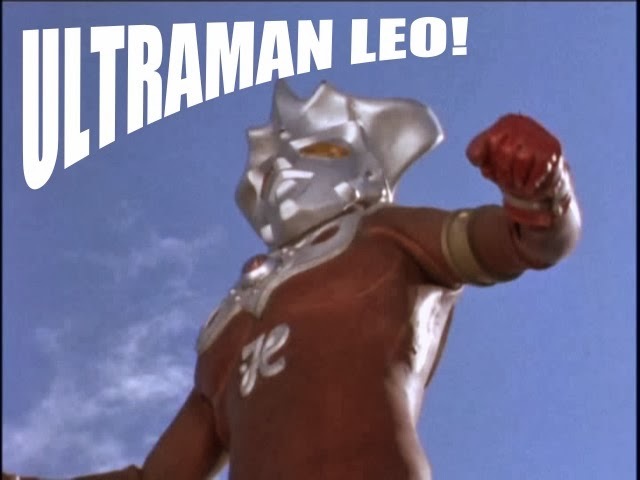 Inc for selling unauthorized merchandise related to SAUCER MEN. Actually, this case is the most recent one. 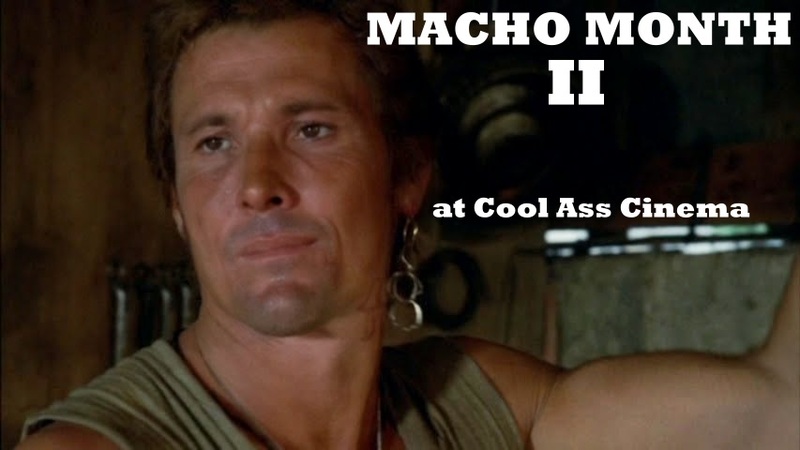 Since at least the late 90s, Susan Nicholson Hofheinz has made a crusade out of suing various companies (including big ones like Discovery and A&E) for alleged copyright infringement over the use of trailer clips, and or characters from films I WAS A TEENAGE WEREWOLF, I WAS A TEENAGE FRANKENSTEIN, IT CONQUERED THE WORLD, THE AMAZING COLOSSAL MAN, TERROR FROM THE YEAR 5,000, and INVASION OF THE SAUCER MEN. It would appear that most, if not all of her suits have been dismissed. It has also been reported that she allegedly wants a great deal of money for licensing, so that scares off any potentiality of a legit US release in the current market climate. 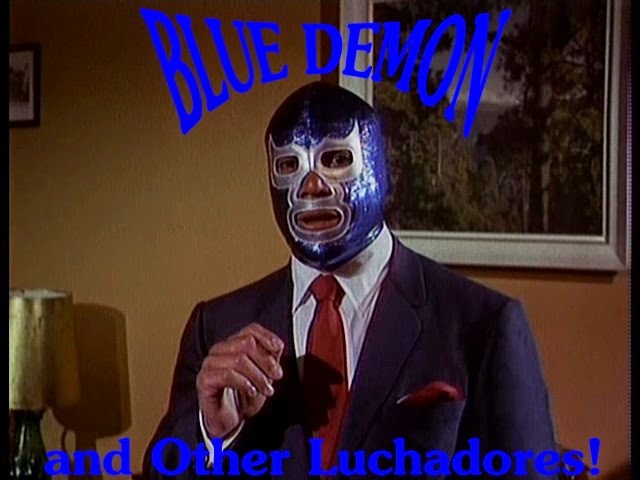 Most of these titles have been released overseas in Europe on DVD. 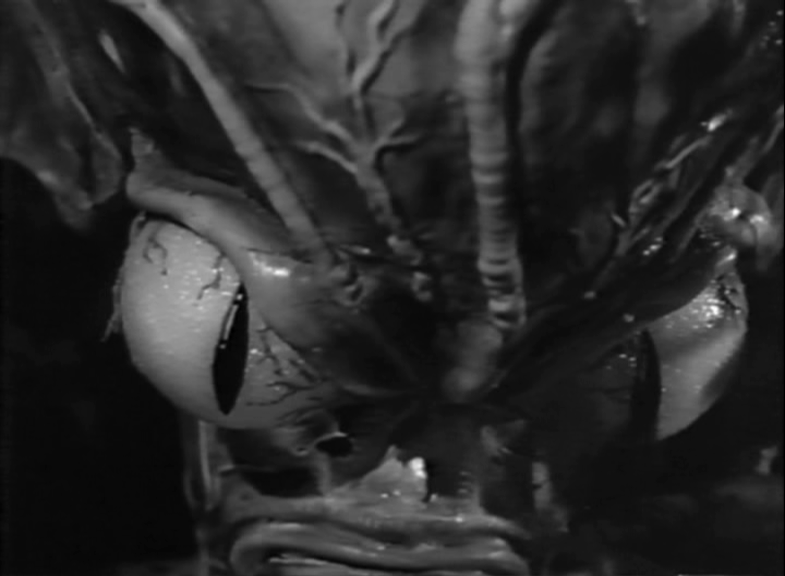 For fans of 50s science fiction, INVASION OF THE SAUCER MEN (1957) comes highly recommended. For a comparative feature from around the same time, it eschews the same darkly comical mentality of Roger Corman's THE LITTLE SHOP OF HORRORS (1960). The change to a serio-comedic affair works to a surprising degree and, along with the memorable Blaisdell alien designs, is key to the films cult status all these years later. This review is representative of the Italian Sinister Films R2 DVD. The original English soundtrack is included.